Hi, I’m Sue and I have being doing Jim’s Dog Wash for nearly 4 years now and I just love it! I treat all my pups as if they are my own. I’m a single mum with 4 kids and 1 grandchild and my own fur baby Blue Heeler pup. 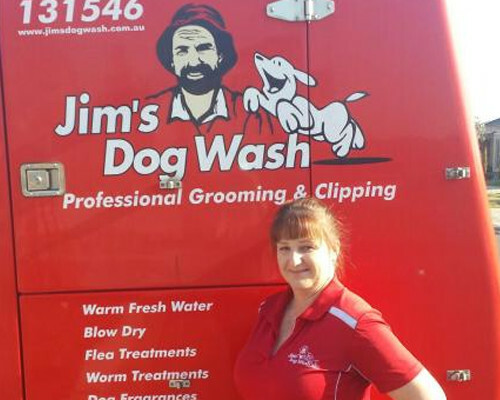 For all of your mobile dog grooming or mobile dog wash needs call Jim’s Dog Wash today on 131 546 or request a free quote online to arrange for Sue to get in touch with you. We wash dog at your home or office, a place your dog knows and is comfortable in.